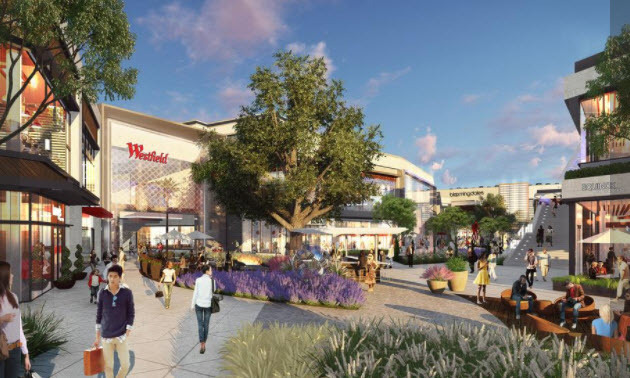 Last week the Silicon Valley Business Journal got a sneak peek at Westfield Valley Fair's epic $1.1 billion renovation. For perspective, that is nearly the same cost as Levi's Stadium and is more than the original budget for all of Santana Row. 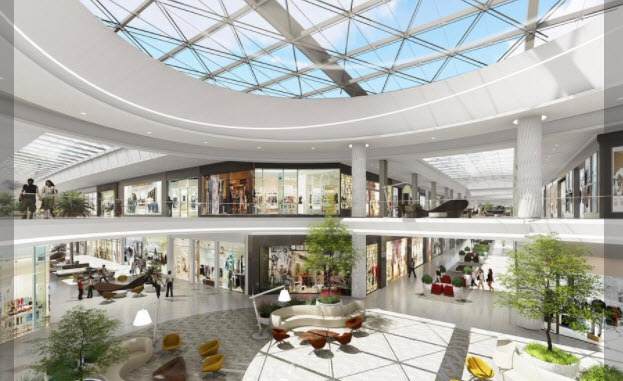 The 650,000 SQFT expansion will add 160 new stores, 10 outdoor restaurants, a luxury ShowPlace ICON movie theater, outdoor event space, and a flagship Bloomingdale's. 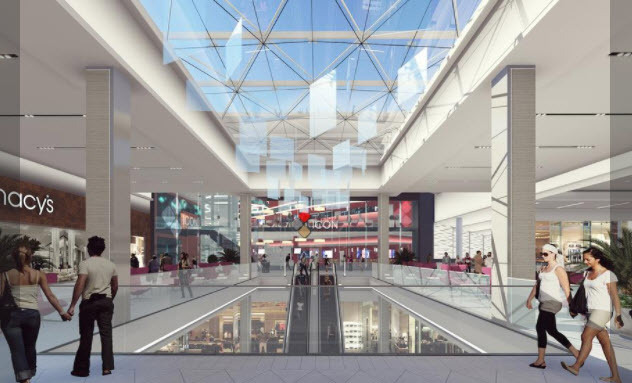 It also includes a design refresh for the entire interior of the mall as well as double the amount of current parking. The end goal is to build something that is iconic and draw shoppers from the whole Bay Area. 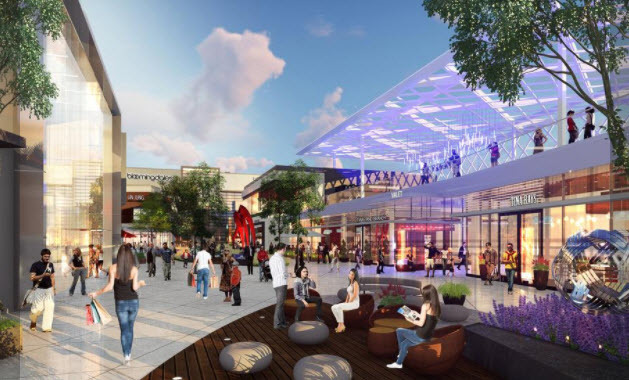 The renovation of the existing mall, the movie theater, and Bloomingdale's should be completed by Summer 2018. The rest of the expansion will open around April 2019. Below are a few photos of the new sections. The outdoor area is a bit reminiscent of their neighbor--not a bad idea given Santana Row's success. Yes, a great mall it will be. And when all the dignitaries show up along with the media on opening day they will say "We're here at the new Valley Fair in Santa Clara" Yep, even though 90% of the building area is located within San Jose, the city allowed Santa Clara to take all the glory without even a peep of protest. This is why San Jose officials are no more than elementary school principals at best. Their lack of understanding of PR and what it takes to stake your own claim even when it rightfully belongs to you is pathetic. I cringe each time a local says Valley Fair in Santa Clara. Even the receipts say it for every store. Makes me want to defecate on San Jose politicos heads. And what exactly can San Jose politicians do about the fact that VF's mailbox is located on the Santa Clara side? Do you want them to insist that the mailbox gets located onto the San Jose side? Every true local knows most of the mall is located in San Jose. I'm not too concerned about it, as San Jose is taking most of the sales taxes. That's great, but when are they going to bulldoze the horrible/dirty Safeway and CVS that shares the same parking lot as this high end shopping experience?